An idealistic lawyer is hired by MI5 to broker secret peace negotiations between Chamberlain and Mussolini in a last-ditch effort to avert war in Europe. But his success is bartered away by a powerful enemy bearing a grudge from the past leading to tragic consequences for the lawyer and his family. The Emissary is due to commence production in 2019. With the international situation deteriorating, Adrian Dingli, an idealistic lawyer and World War 1 veteran working for the British government, makes a controversial anti-appeasement speech at a memorial to his late Italian father, a prominent diplomat. Secret Intelligence Service agent Sir Joseph Ball decides Adrian’s ‘unpatriotic’ speech represents an opportunity and makes the outcast lawyer an offer – a simple ‘mission’ for the Prime Minister in return for a promotion at the Ministry. 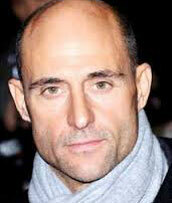 In reality, Adrian is being recruited to work undercover for MI5. Ball has history with Adrian. They were at law school together and Ball was rejected some years before by Adrian’s young German wife, Dorothy. Now Ball has the upper hand and as the Prime Minister’s right-hand man he appeals to the lawyer’s sense of duty and obligation to his ‘adopted’ country. Despite mistrusting Ball’s motivation, Adrian is sold on the chance to endear himself once more to the British establishment and becomes the emissary in the secret channel to Italy, a conspiracy to broker peace with Mussolini’s Italian dictatorship and isolate Hitler – without the knowledge of the British Foreign Office. He resolves to detail everything in a diary and tells nobody except his wife. On his first undercover mission, Adrian exceeds expectations. Ignoring Ball’s instructions not to negotiate, he lets his idealism get the better of him and strikes a fateful bargain, giving away too much ground to Mussolini’s son-in-law, the wily Italian foreign minister. Ball, believing Adrian’s recklessness imperils the national interest, ensures that the emissary is hit with a bombshell upon his return: Rather than the promotion Ball promised, Adrian is suddenly fired from his job at the Ministry – payback for exceeding his brief and he suspects, payback for Dorothy. With the fate of nations hanging in the balance and Adrian facing an existential crisis of his own, he buys himself time, persuading Ball he can deliver a deal with the Italians and coming up with a cunning plan to get rid of the Prime Minister’s nemesis, intransigent Foreign Secretary, Eden. When this plan succeeds against the odds, Adrian demands his old job back but Ball is in no mood to take his foot off the throttle. Claiming the ‘national interest’ trumps any promises he made, Ball is conflicted. On the one hand, hateful of Adrian’s idealism of ‘old Europe’, his war record and their shared history, he manipulates Dorothy in a doomed attempt to elicit sexual favours and ensures Adrian will be hung out to dry if and when any Italian deal unravels. However, mindful of what ultimately might be best for the country, he is wise enough to keep his options open should Adrian accomplish something substantial. The Emissary explores how reaching for the stars, in this case the Holy Grail of peace, can be undermined and ultimately betrayed by powerful people with personal scores to settle. Adrian makes the most of the bad hand he has been dealt, forging a ground-breaking deal with the Italians with the potential to isolate Hitler and alter the whole course of history. Yet the British lose their nerve at a crucial time and Adrian’s status as an outsider allows Ball the chance to scapegoat him in ‘the national interest’. In the end, Adrian learns the meaning of true honour, making a heroic choice to save his family at the expense of himself. Blackmailed by Ball to return to Italy in the full knowledge he will probably be arrested and shot as a spy, his idealism is shattered as the last vestiges of old Europe give way to the nihilism of modernity. Despite making it back alive, Ball instigates Adrian’s murder which is covered up as a suicide in a desperate attempt to destroy all evidence of the ‘secret channel’. But in a final twist, Dorothy smuggles a hidden copy of his diary out of the country, ensuring the truth is preserved for posterity, and exacts a very personal revenge on Ball who would never be the same man again. As issues from the 1930’s resonate in the contemporary world, The Emissary uncovers the truth about a man who tried to prevent a world war only to be fatally undermined by an arch rival with the consequences felt for generations. 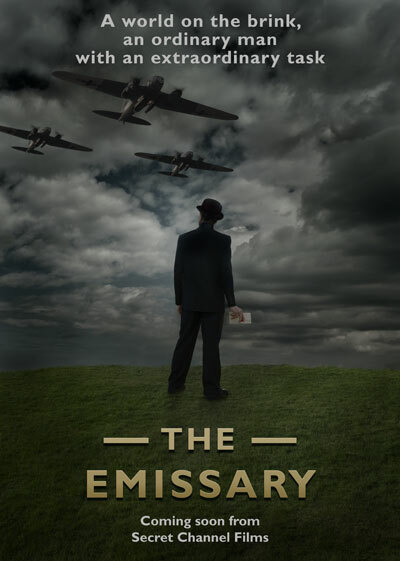 A powerful, untold story from the 1930’s, The Emissary provides a fresh perspective on the events and personalities leading up to the outbreak of WW2. It poses the question of what might have been but for Joseph Ball’s personal desire for revenge and the terrible complacency at the top of the British establishment. Told in the style of Tinker, Tailor, Soldier, Spy, The Emissary is at once a glossy spy thriller where international events are weaved into a narrative focused on the clash of two personalities and a social drama centred on a family trying to overcome a series of overwhelming crises. 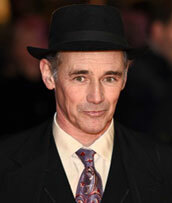 Hence the film will have universal appeal and strong historical relevance for international audiences of all ages. Aged 50-55, a decorated war hero and a passionate advocate for the return of the old pre-WW1 European order, Adrian is nevertheless firmly in the anti-appeasement camp before this is compromised. Last of a fading Maltese/Italian aristocratic line, Adrian is both foreign and part of that old order which makes him vulnerable to Ball’s manipulation despite his ties to Britain, the country he fought for. Idealistic and pragmatic in equal measure, he navigates an impossible line between seizing the moment and protecting his loved ones from the consequences of his action. Aged 30-35, and Adrian’s second wife, she’s now a slightly fading beauty and conscious of how profoundly time changes people and the world around them. She worked as a fashion model and then a buyer for Harrods in London before marrying Adrian and producing their only child, Alex. She has a natural Bavarian pragmatism, her parents were bakers in Munich before emigrating in the 20’s, and this proves a useful counterweight to her husband’s idealistic leaps of faith. The shadow of Adrian’s first wife’s death hangs over their marriage, a fact not helped by the age gap. And to compound matters, she had a brief affair with Joseph Ball before ditching him for Adrian. Aged around 45, Ball is a secret service high-flyer who believes he controls the British Prime Minister and, through him, the destiny of the entire nation. Clever and Machiavellian, Ball’s ambitions are Shakespearian in their scope. He will stop at nothing to secure the best deal for Britain, believing his place in history depends on it. But an early rejection by a woman proves to be his Achilles heel lending his ambition extra impetus yet undermining it, especially when that woman turns out to be Dorothy. Aged around 40, Grandi is a debonair Italian gent, very pro-British, popular with the ladies and someone who enjoys the high life. Anti-fascist and not superficial despite outward appearances, Grand has integrity as well as gifts of vision and foresight. This ultimately leads him into a conflict between what he perceives as his duty and his honour.